This Cadburys Christmas 2018 advert titled “Secret Santa” shows various people disguised with a santa mask giving gifts to their friends and loved ones. The music in the Cadburys advert is a cover version of the 1963 Beatles song Do You Want to Know a Secret. 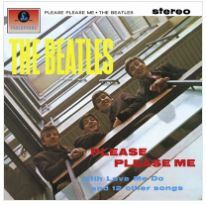 The track is taken from their album Please Please Me. The cover version in the advert is performed by London based singer-songwriter Mathilda Homer. Her version is not commercially available at the moment however the Beatles original can be downloaded as always.